What is LOVE, Dr. Cookerly? : What is a Love Hearing and Why Hold One? 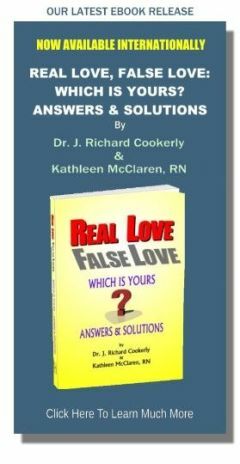 Synopsis: This mini-love-lesson tells of a couple’s relationship saved by holding love hearings; explains what love hearings are; describes putting ‘the love part’ in; gives the job of the listeners; and ends with a suggestion. With tears of joy in her eyes, Jessica declared, “Holding love hearings saved us! What is a Love Hearing Exactly? The idea for holding a love hearing comes from the field of political science and especially the study of democracy. Whenever there is an issue, problem, concern or idea for an improvement, and before proposals for solutions or fixes, and definitely before any actions are decided on, “hearings” are held. Hearings are supposed to be just that – a hearing of what anyone concerned wants to say on a topic and related issues. Questions for clarification and requests for additional information can be asked, especially at the end of a hearing. No disagreement, debate, explanation or attempts to fix things are allowed. In the ‘love hearing’ way of doing things. Brief statements of emotional support to the person speaking can be made but that is about all. Even if someone feels that they are being accused of something and have an impulse to defend themselves, that is not to be done in this sort of “hearing” situation. Literally hundreds, maybe thousands of times in my couples and family counseling practice I have heard people say, “I just want to be heard”. So often that was followed by another person in the session immediately talking over the one who had just made that plea. Then of course dysfunction ensued until therapeutic intervention managed a difference. Love hearings are a sort of semi-formalized way of avoiding that sort of dysfunction and allowing everyone concerned to be heard, hopefully with love. A Love hearing usually is started by someone who says they want not just a hearing but a “love” hearing. 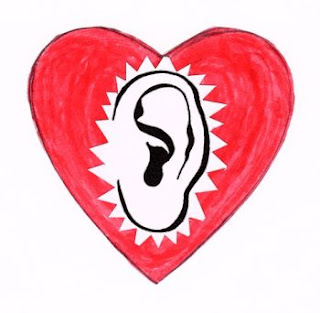 Couples, families, close friendship groups and others in love relationships can use the love hearing system to avoid conflict. Frequently at first it is good if everyone be reminded that everything can be said with love and everything can be heard with love, and it is best for all involved to aim for that. It also is good for people to focus on ‘centering themselves’ in their love for whoever is going to be the speaker before the hearing starts. A start time and end time (very important) are agreed upon, and a place to hold the love hearing, preferably fairly comfortable and not likely to be interrupted during the time allotted are also chosen. This may help to slow down the dissension in an argument that may have just started and also may help interrupt escalating negative emotions. The person who wants to be heard starts by saying whatever it is they want to say, usually with expressions of emotion included. Usually the speaker is the only one who can allow an interruption. It is best if everyone present (even if it is only one person, or a small family, or a larger extended family or a friendship group) does not try to interrupt, no matter what they are thinking or feeling. In a love ‘hearing’ everyone does their best to listen to the speaker and hear the words and feelings being conveyed. Expressions of care and concern for hurt feelings can be made if they are brief and are empathetic. That is where the love comes in. It usually is important that the listener keeps good eye contact with the speaker and, from time to time, has very caring looks on their face and hopefully very caring feelings in their heart. The concepts of ‘active listening’ and the idea of really listening to the person and not just to the meaning of their words is encouraged. For more on that, see the entries in the mini-love-lesson’s Subject Index under Communication. The job of the listener is to really hear the heart and gut messages of the person speaking as well as their thought process to, in effect, look through the speakers eye’s, feel their feelings emotionally as well as mentally, understand where they are coming from and what they are going through. Then give them expressions of love and care, possibly at the end. No advice giving, alternate fact presentation, instruction and especially no defensiveness or argument is a part of this love hearing process when it is done well (Note: this may be difficult with the thoughts and emotions the listener is having but know it is possible. Remember, the listener also gets to be the speaker in a love hearing later if they want). In this loving process the listener, in effect, is allowed to visit in the mind, heart and gut of another and see how things are there, but it is not a time to try to change anything but rather just to understand and care. If something is to be decided, a second meeting for that discussion or debate is to be set. If another listener feels they have a lot to say in response to what they have just heard, they too can ask for a love hearing at a different time (if emotions have calmed, that time may even closely follow the first love hearing but remember to set the time and place again so as to change gears for an alternate love hearing). Patience is to be shown, plus pauses and time outs (especially when children are the speakers) if they are having a hard time finding words to express their thoughts and feelings. Children, by the way, as well as adults do well with praise and thanks for self disclosing their views and feelings. Various couples, families, etc. add other guidelines. Some people formalize the process with more exact rules but many do this process more informally or semi formally following the guidelines given here. If you are having trouble and arguments like Jessica and Jeff or anything similar, why not try holding a love hearing? It may be a little awkward at first but those who work at it seem to get good results. Children especially often like this process and adults find it much much better than fighting. What do you think about the statement which says “really good listeners can repeat-back whatever has just been said to them, pretty much verbatim, and also can tell you the emotions of the one who did the speaking”? Does that description fit you?